Lanford Wilson's story has ended. The celebrated playwright and Off-Off Broadway pioneer died in March 2011. But he left behind an uncommonly humane collection of stories that will be told for some time to come. This season all across Memphis, theaters, schools, and arts groups are celebrating Wilson's life with productions of his best-known works. The Wilson retrospective launched last week when Talley's Folly, Wilson's Pulitzer Prize-winning romance, opened on Theatre Memphis' NextStage with Greg Alexander and Aliza Moran cast as Matt Friedman and the unfortunately named Sally Talley. 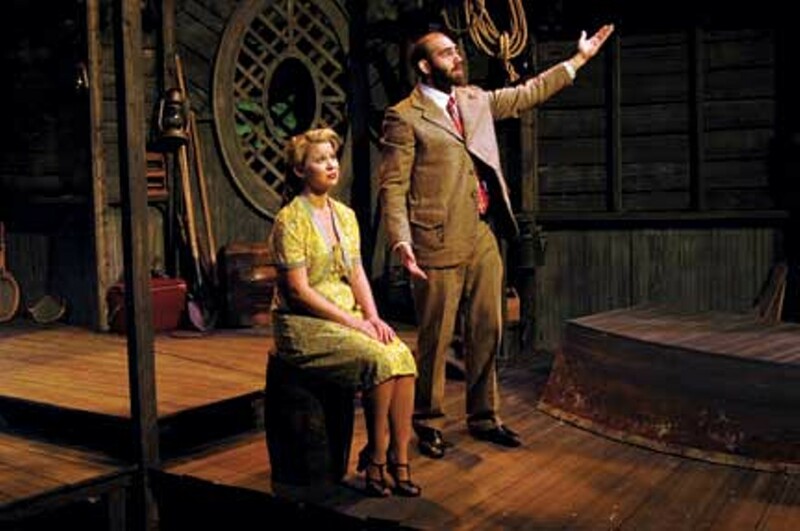 Set in an eccentric, dilapidated boat house in rural Missouri during WWII, Talley's Folly is a love letter to Tennessee Williams' The Glass Menagerie. Like Williams' breakthrough "memory play," Talley's Folly opens under house lights with an effective scene-setting monologue: This play is a waltz. It's a story about two people, awkward and broken in complementary ways, making love work around politics, privilege, and prejudice. Theatre Memphis' production, ably helmed by director Marler Stone, is a solid primer on Wilson's lyrical, character-driven approach to theater. Next up is for Wilson fans is Hot L Baltimore, which chronicles a day in the life of a condemned hotel. It opens at Playhouse on the Square on Friday, September 28th, with Michael Gravois, Irene Crist, Ron Gephart, and Courtney Oliver.